12x12 Wood Size. 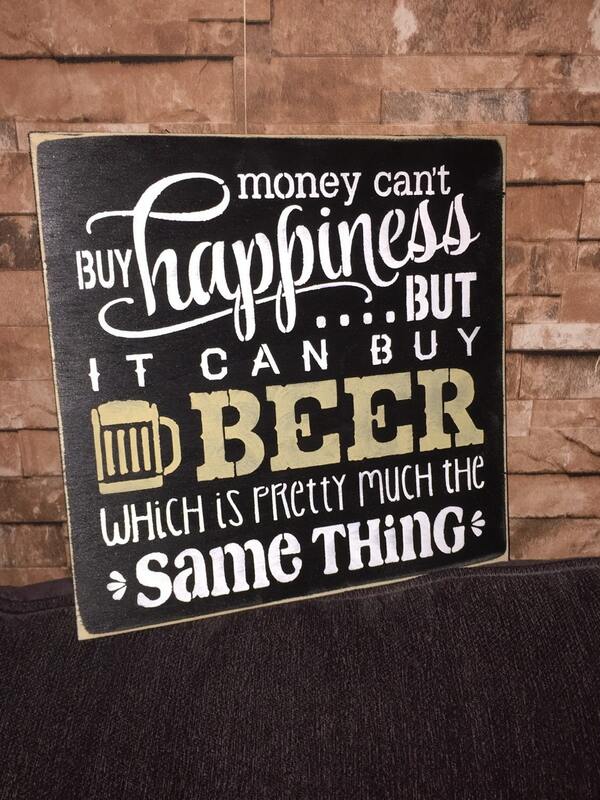 Money can't buy happiness but it can buy beer which is pretty much the same thing. Color is glossy black with white and khaki painted letters. This would make a great gift! A must have for your man cave or kitchen!